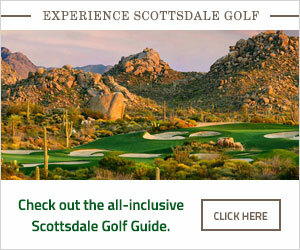 Described by locals as the "Fun Place to Play", Continental Golf Club is located just blocks from Old Town Scottsdale. Enjoyable for all ages and skill levels, this executive-style par 60 course allows you to use every club in the bag and get in a great round in about 3 hours. Winner of the 2007 and 2008 Arizona Republic's Best Inexpensive Golf Course in the Northeast Valley, Continental proves that great Scottsdale golf doesn't need to be expensive! Be sure to call the Proshop for rates and specials. Tee times can be made up to 14 days in advance, and rental clubs are available upon request. We look forward to your next visit to Continental! The 18-hole "Continental" course at the Continental Golf Course facility in Scottsdale, Arizona features 3,766 yards of golf from the longest tees for a par of 60. The course rating is 57.7 and it has a slope rating of 78 on Bermuda grass. Designed by Greg H. Nash, ASGCA/Jeff D. Hardin, ASGCA, the Continental golf course opened in 1978. Fore Golf LLC. manages this facility, with General Manager, Morgan Kimmins on property if you have questions. Rates Vary depending on the time of day and season. Please call the Pro-Shop for current rates. We always offer programs for those avid golfers. From the Loop 101, take the Indian School exit and head West. Take a left, or head south on Hayden Rd. About a half mile south, you will take a right on Osborne Rd. and the course is just up on the right! Continental is the "Self-proclaimed Night Golf Capital of Phoenix"
If you have never played, you NEED to!! It is some of the most fun you will ever have on a golf course! We host more events than anyone in the valley, and we do a great job!! Please give us a call if you are looking to re-invent your current golf tournament, want to host a new event or just looking for a good time! We have three of the best in the valley. 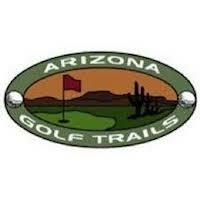 Contact Continental Golf Course at 480-941-1585. Contact Continental Golf Course at 480-941-1585 for onsite or nearby dining options. This profile was last updated on 09/11/2018 and has been viewed 9,680 times.